The Appropriate Omnivore is joined by the Kombucha Mamma, Hannah Crum. 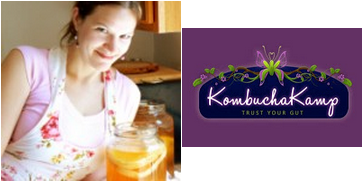 Hannah talks about her business Kombucha Kamp and the two get into why kombucha and other types of fermented foods are great to consume. They also discuss more ways to go back to the way we used to eat by including things like raw milk, sprouted foods, and of course, grass beef back into our diets.